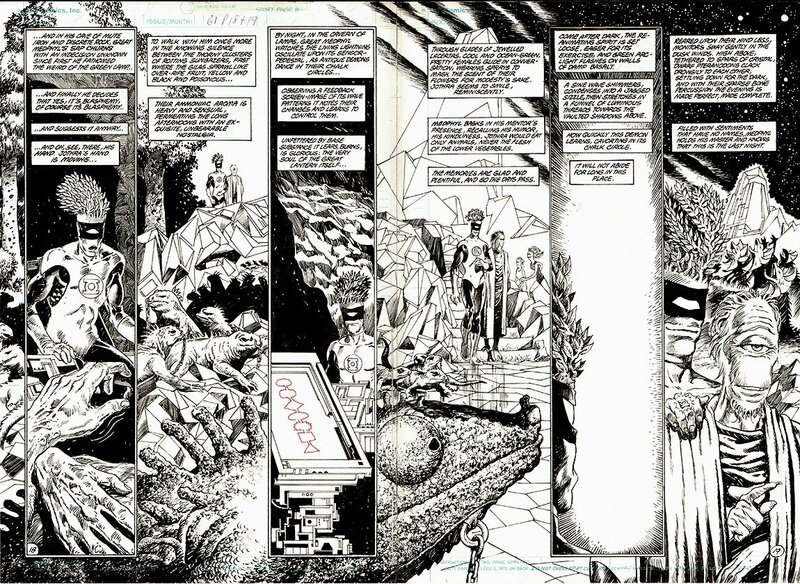 Check out this very nice 1987 Swamp Thing double page spread, which was penciled by Rick Veitch, and inked by Alfredo Alcala, from the story titled: "All Flesh Is Grass!" This nice page features Green Lantern [Medphyl] trying to solve a problem! Just a nicely detailed double page, drawn on 2 oversized DC art boards!